I have in the past scoffed at the notion that moving house is the most stressful experience a person can have. Now, having moved house in Hong Kong, I feel it is definitely true. 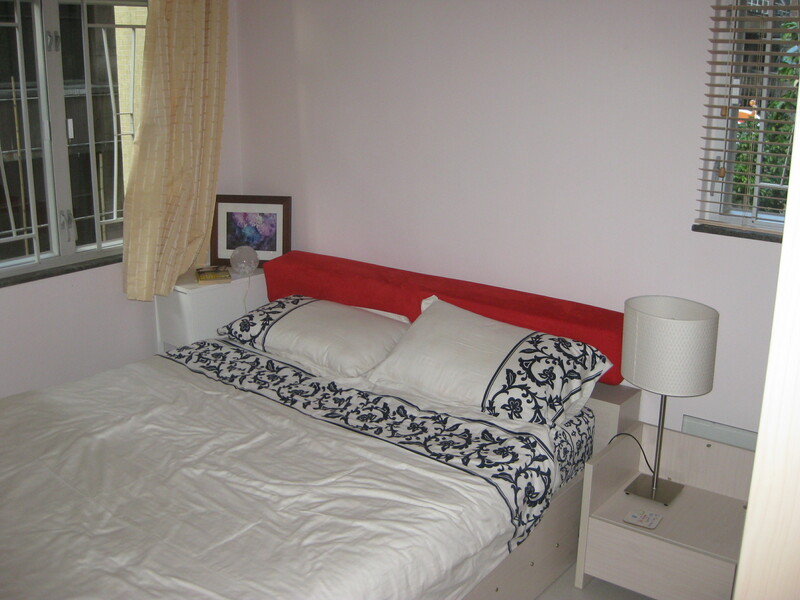 First of all, flat hunting was enough of an ordeal – trying to find somewhere that ticked all the boxes (spare room, close to the MTR, at least partially furnished, within our price range and chosen district) was a long, arduous process. We must have seen about 15 places, some of which were really nice but just fell down on one of our must-haves. We had to think of which of those requirements we were prepared to give up on, when at last we found the right place and knew straight away we’d got a winner. But the joy on finding our home was shortlived as it simply marked the beginning of the next phase: negotiations with the landlord (most of them regarding the monstrosity of a sideboard he refused to get rid of), paperwork, fairly steep deposits for everything. And then the physical move, which sounded so simple in theory – just moving our things from 2 locations to the new one – yet was extremely draining. But here we are now, all settled in for a few months, and it really has become a home. 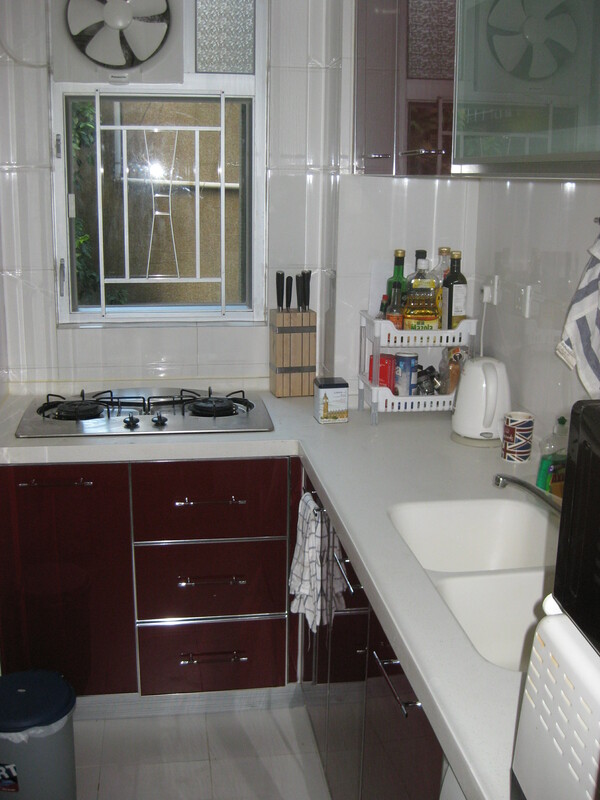 Best of all is the kitchen, which may look small to non-HKers, but is approximately three times the size of my first kitchen here (and a million times cleaner). 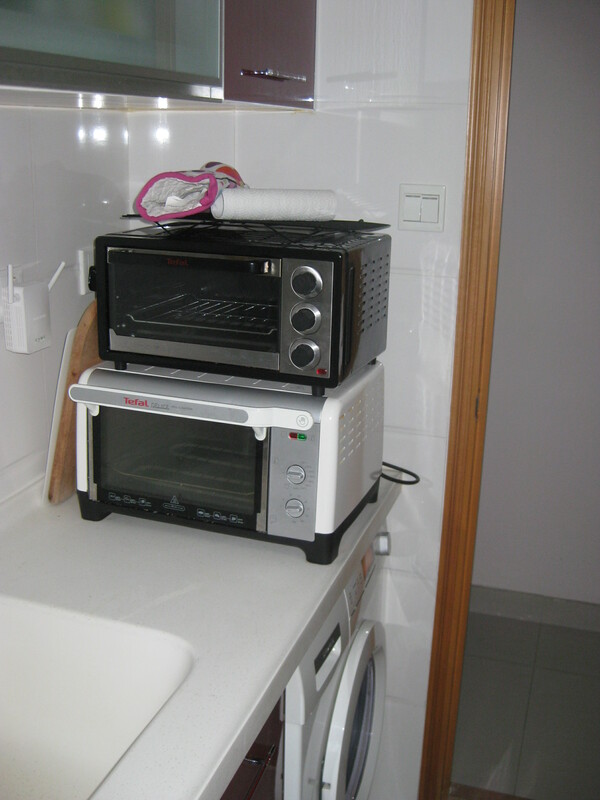 It even has space for not one, but two, mini ovens. Obviously I would prefer a real oven, but that would be virtually impossible here, so I’m making the most of the little ones. The kitchen is now very well-equipped, and recently I even found a Swiss roll tin small enough to fit in, and have celebrated by making this delightful roulade. This is frequently on the menu at Simon Rimmer’s Greens, my favourite restaurant at home, and it’s always a treat to make it myself too. 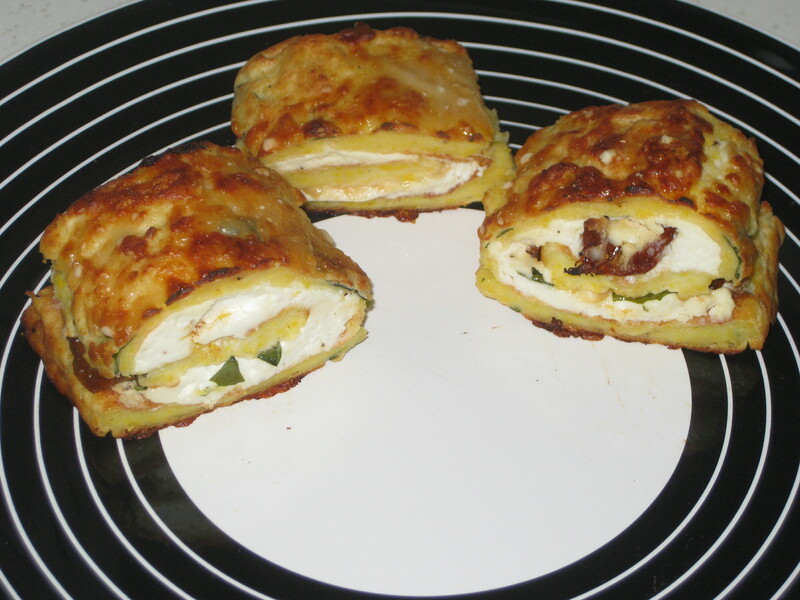 The flavours are such a classic combination, and the roulade is really springy and nicely flavoured with basil. I’ve made the full recipe before, but this time I halved it and made it in my little tin, and it was amazing. It should be made the day before eating, which is always a bonus in my mind as I like preparing things without a deadline or a stomach rumbling with hunger. 1. 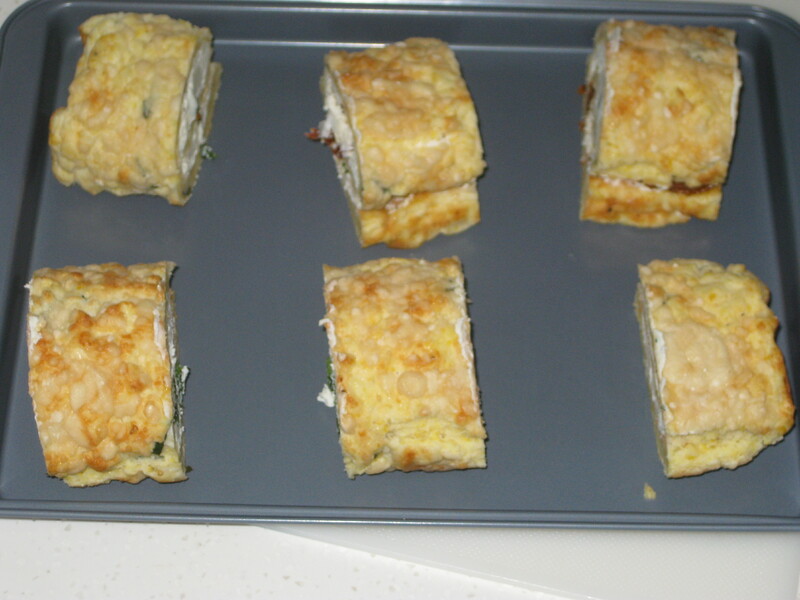 First, make the roulade. 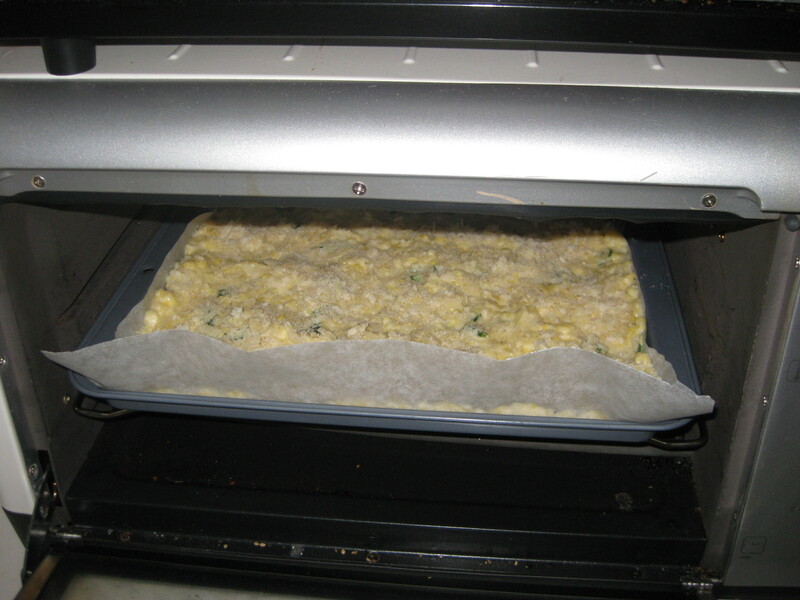 Preheat the oven to 200C, and grease and line a 38x25cm Swiss roll tin (or half that size, if you have a mini oven like me). 2. 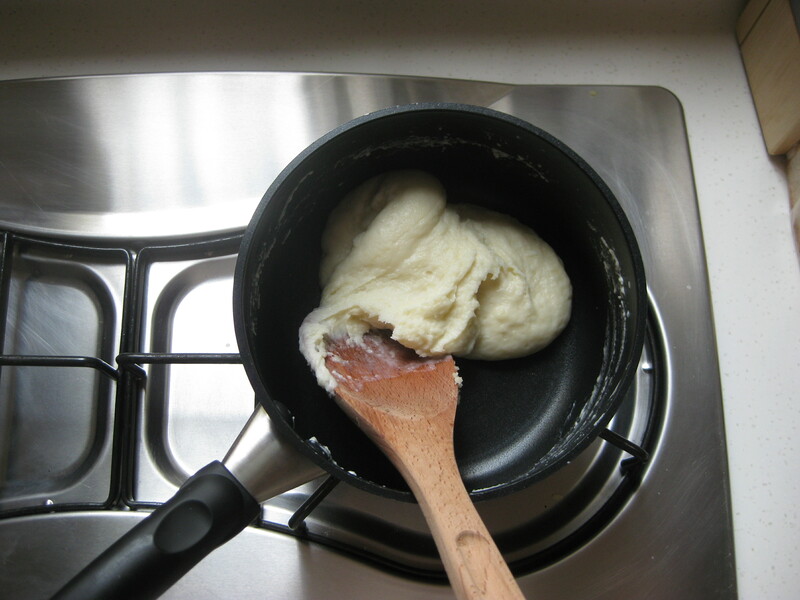 Melt the butter in a saucepan, and add the flour. Stir for 3 minutes. 3. 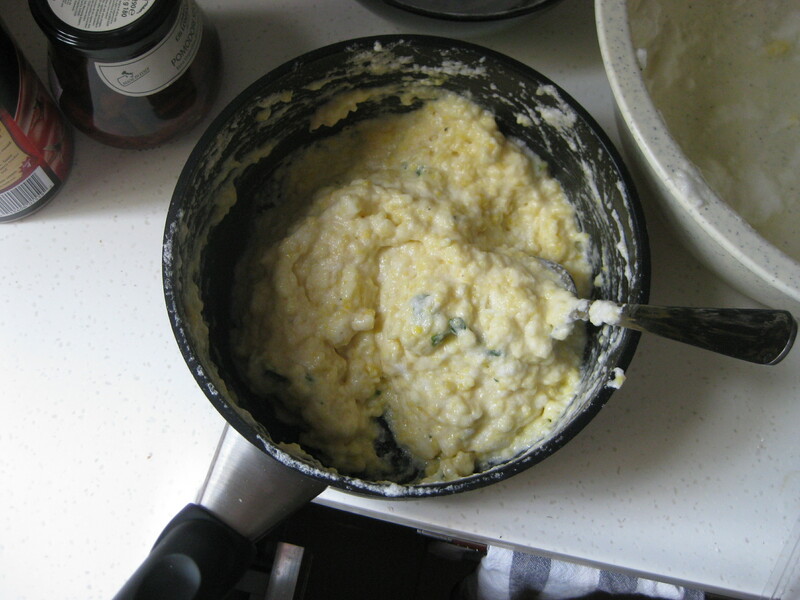 Gradually add the milk, stirring after each addition until thickened. 4. 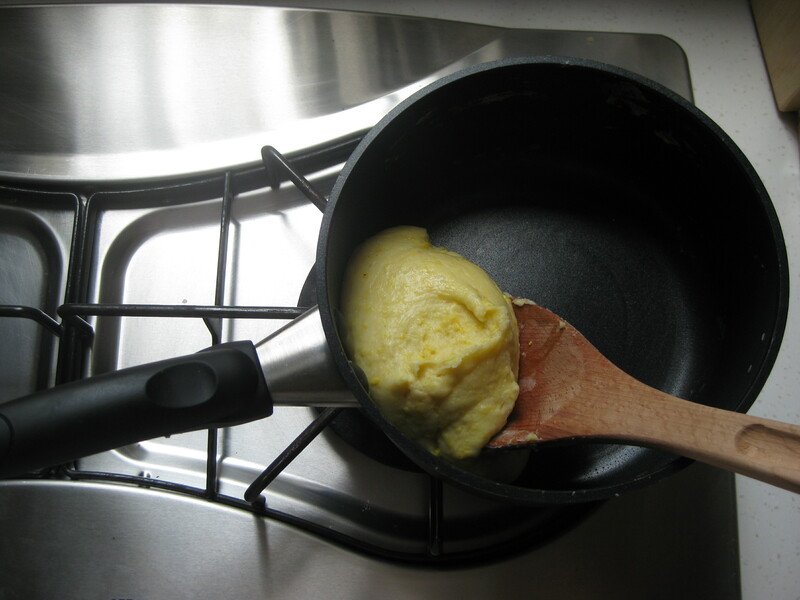 4 Season, then stir in the egg yolks. Remove from the heat and set aside. 5. 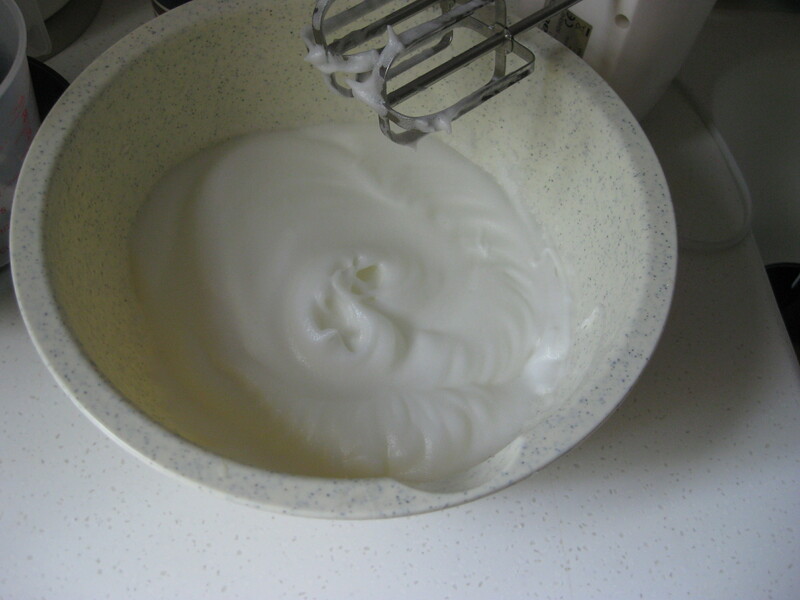 Whisk the egg whites until firm in a separate bowl. 6. 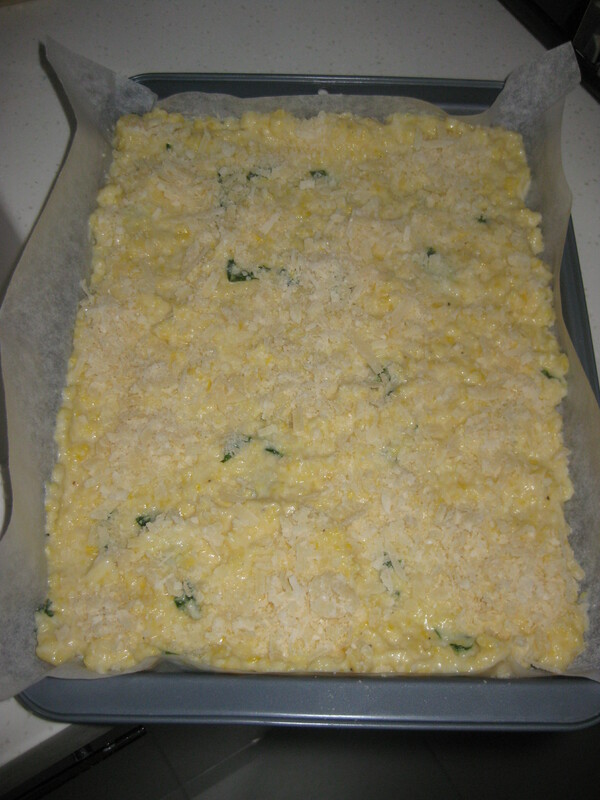 Gently fold the whites into the cooled mixture, then add the basil – I always struggle to combine them evenly, and it always stays fairly grotestque-looking, but the finished roulade is delicious and has a really nice texture. 7. 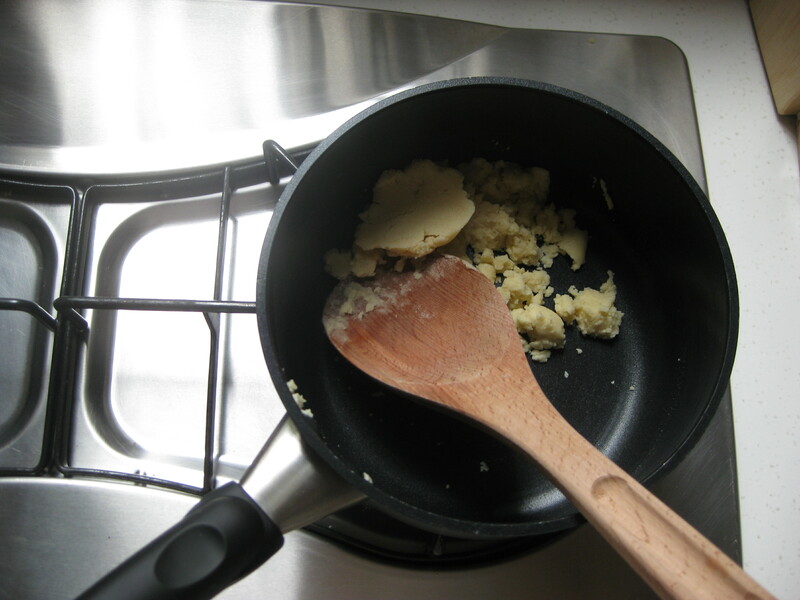 Spread the slightly scrambled-eggy mixture into the prepared tin, using a knife to get it all nice and even. Sprinkle the parmesan on top. 8. 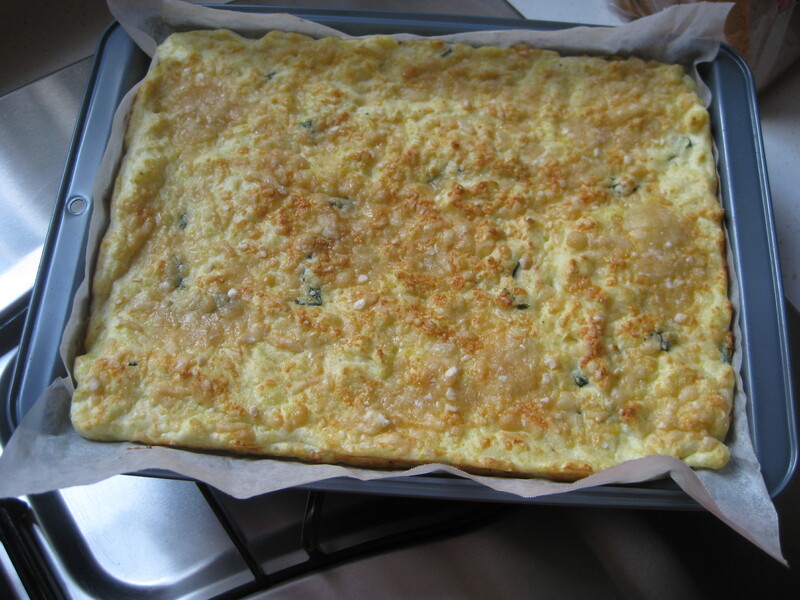 Cook for 15 minutes until springy and risen – don’t worry if some of the cheesy bits puff up, they settle down again when removed from the oven. 9. 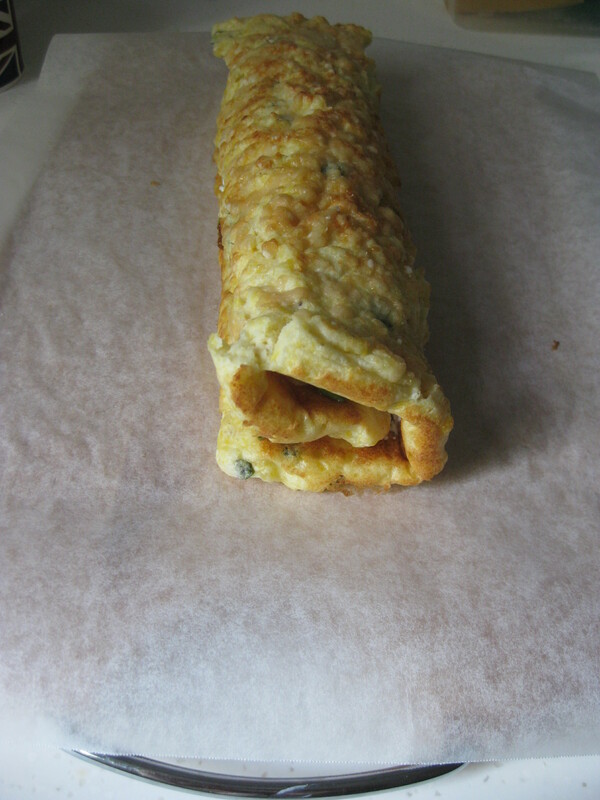 Invert the tin to turn out the roulade onto a clean piece of greaseproof paper, so the parmesan side is facing down. Peel off the lining paper and leave to cool slightly. 10. 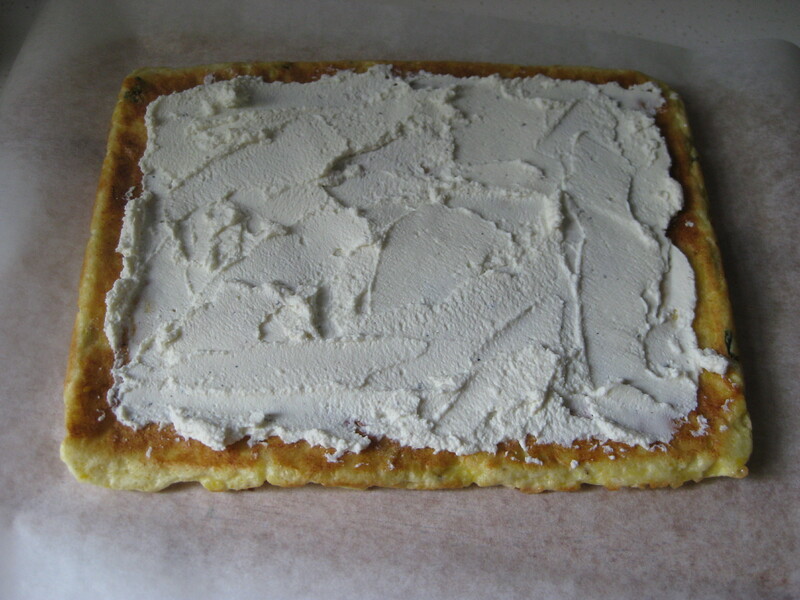 Season the ricotta and use a knife to spread it over the roulade, leaving a gap around the edges. 11. 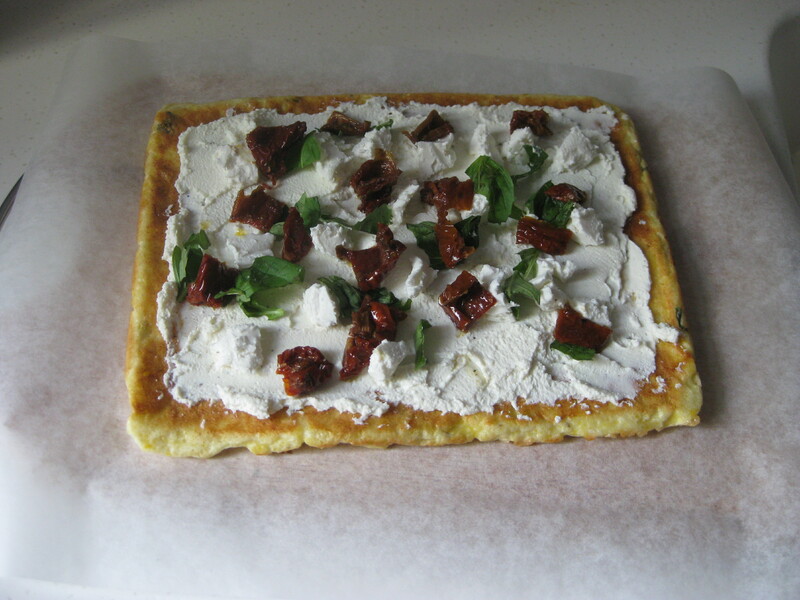 Scatter over the goats’ cheese, basil and tomato. 12. Carefully roll up from the long end and place the seal underneath – rolling it can be a little stressful, but the odd crack just gives it a rustic look. 13. 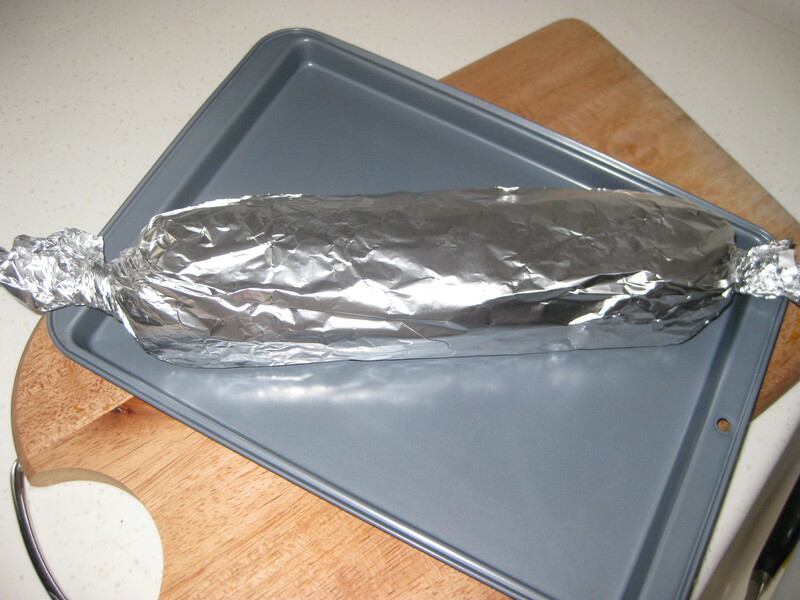 Wrap up in the greaseproof paper followed by some tin foil, like a Christmas cracker. Chill in the fridge overnight. 14. 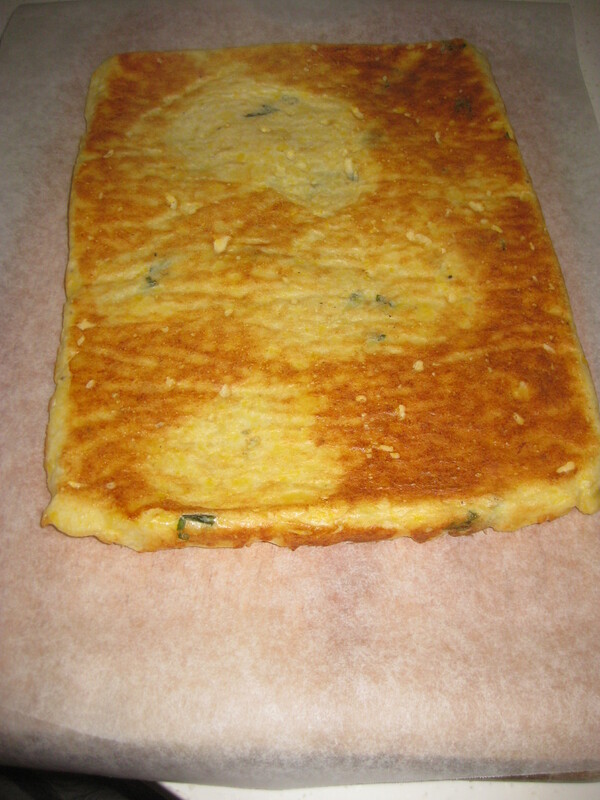 To serve, preheat the oven to 200C. Slice the chilled roulade into 2 slices per person and cook for 10 minutes, then finish off under a hot grill for about 5 more minutes until slightly crispy. Serve with the greenery of your choice. 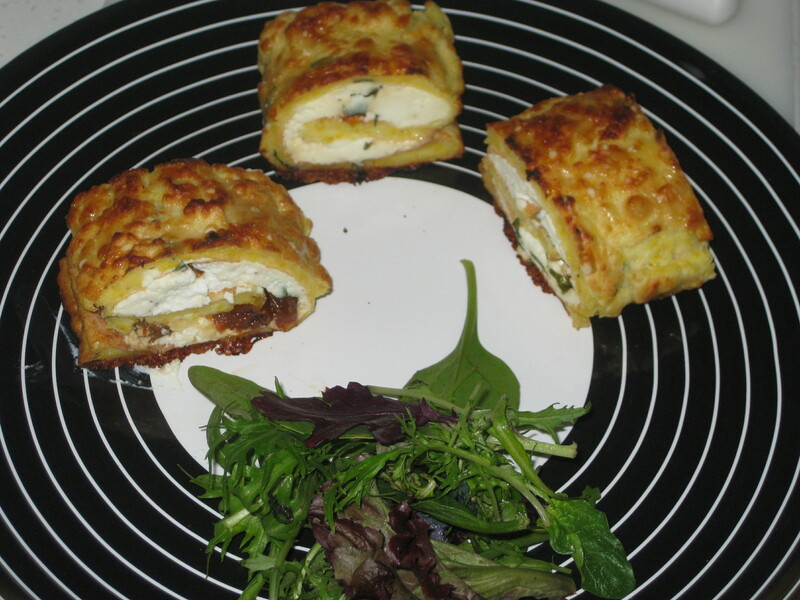 This entry was posted in Vegetarian Recipes and tagged roulade, Simon Rimmer, swiss roll tin, vegetarian mains, vegetarian roulade. Bookmark the permalink. 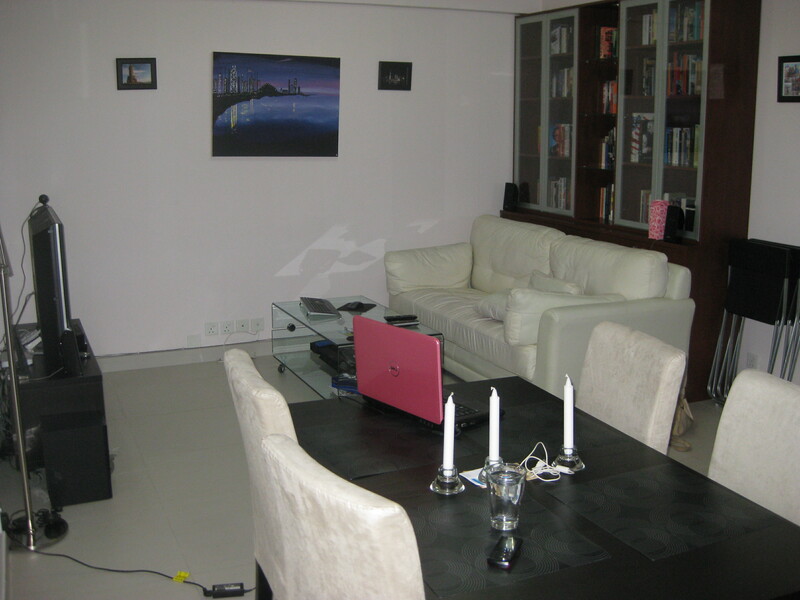 Mmm.. that roulade looks amazing and that kitchen looks pretty big for Hong Kong! It’s probably going to be hard to bake things like cakes in that mini oven though. Thanks! 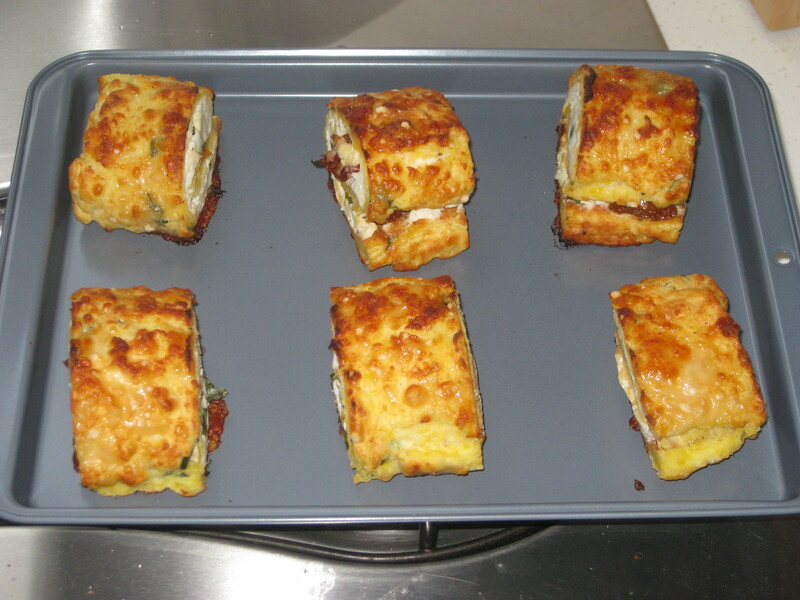 The ovens are surprisingly good – we have to tinker a bit with the times, but they both cook really well, even cakes.